His political career over, Sheriff Ross Mirkarimi still stands to lose much in fighting his suspension and removal from office by Mayor Ed Lee — namely, his city pension and health benefits earned during over two decades as a city employee and elected official. Under Measure C, a voter initiative approved in June 2008, a city employee convicted of a crime involving “moral turpitude” can lose his or her city retirement benefits. Mirkarimi, an armed investigator in Terence Hallinan’s District Attorney’s office for nine years, earned the right to a city pension plan five years into his tenure there, according to Jennifer Johnston, Chief of Policy at the Department of Human Resources. The voter initiative was written by Supervisor Sean Elsbernd, who also sits on the city’s Retirement Board. It is believed the Retirement Board would make the final decision to strip a former city employee of benefits, following a staff recommendation. Crimes involving “moral turpitude” is defined by the Ninth Circuit Court of Appeals as “almost always involv[ing] an intent to harm someone, the actual infliction of harm upon someone, or an action that affects a protected class of victim. And since Mirkarimi has plead guilty to false imprisonment, it is possible the city could attempt to remove his benefits even if he does keep his job. Elsbernd declined to comment to the Appeal; like other members of the Board of Supervisors, he will be asked to vote to uphold Lee’s decision to remove Mirkarimi following a hearing at the Ethics Commission. All employee contributions made by the employee to his or her retirement plan are returned once benefits are taken away, according to city law. A city employee also has the option of retiring before the benefits are removed. Mirkarimi was suspended without pay as of Wednesday. If removed from office, he would likely lose whatever city health benefits secured for himself, his wife, Eliana, and their two-year old son, Theo. Mirkarimi, 50, must then weigh the possibility of starting his life over from scratch over the ignominy of resigning his office. The process to remove a city employee has yet to be fully tested, as has been repeatedly reported. Former Supervisor Ed Jew was charged with felonies and resigned before a removal process begun by then-Mayor Gavin Newsom was begun. In the 1970s, Mayor George Moscone attempted to remove George Mazzola from the city’s Airport Commission after a citywide strike. Mazzola appealed his removal and won reinstatement in 1980 from a judge’s panel. Appealing any ruling to a Superior Court judge would also be open to Mirkarimi should the five-member Ethics Commission vote to uphold Lee’s ruling, and if nine of the city’s eleven supervisors vote to uphold Ethics’s ruling. Reached by telephone Wednesday, David Waggoner, Mirkarimi’s attorney, declined to comment. Lee began the procedure to remove Mirkarimi on Wednesday, two days after the sheriff plead guilty to falsely imprisoning his wife, Eliana Lopez, following a Dec. 31 argument. 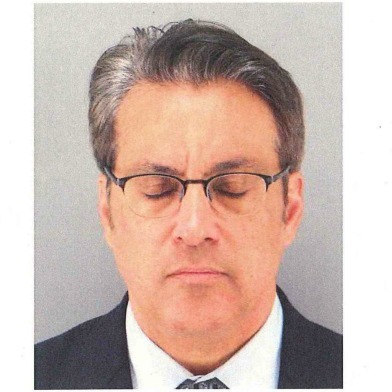 Mirkarimi was charged with misdemeanor counts of domestic violence in January, after Ivory Madison, a neighbor of Lopez and Mirkarimi on Webster Street, provided a video recording of Lopez tearfully showing a bruise on her arm — allegedly put there by Mirkarimi when he grabbed her — to police. In a San Francisco Chronicle op-ed, Madison and her husband accused Lopez and Mirkarimi’s attorneys of attempting to convince them to destroy evidence — the video — as well as dissaude them and other witnesses from testifying. Both allegations appeared in the 14-page summary of charges prepared by City Attorney Dennis Herrera on Lee’s request. Mirkarimi’s personal futures and fortunes may depend on politics as much as the facts: all five members of the Ethics Commission are political appointees. In interviews on NPR and KQED, local political and legal experts Peter Keane, professor emeritus at Golden Gate University’s School of Law, and Corey Cook, a professor of politics at the University of San Francisco, said that Mirkarimi’s progressive political allies — the sheriff is said to have very few personal friends — will be “pressured” to support him, even if they believe the facts do not warrant official misconduct. City law states that the Ethics Commission must hold a hearing on charges within five days of their filing. Even that law appears on its way to being violated: the commission won’t meet on the Mirkarimi issue for at least “three weeks,” commission Executive Director John St. Croix told the Bay Citizen. Three votes on the Board of Supervisors would be required to save Mirkarimi’s job, and exactly three supervisors are considered solidly progressive: Eric Mar, David Campos, and John Avalos. All three are up for reelection this year, with Mar seen as the most-vulnerable. And already, pressure is being applied to them from without: Spanish-language billboards emblazoned with Mirkarimi’s regrettable quote that his foibles were a “personal matter” were unveiled in Campos’s district this week by La Casa de las Madres.